The manufacturing industry has to exploit trends like “Industrie 4.0” and digitization not only to design production more efficiently, but also to create and develop new and innovative business models [1, p. 2]. New business models ensure that even SMEs are able to open up new markets and canvass new customers [2, p. 82ff.]. This means that in order to stay competitive, SMEs must transform their existing business models [3, p. 2ff.]. The creation of new business models require smart products [4, p. 1, 5, p. 235, 6, p. 13, 7, p. 2, 8, p. 322, 9, p. 7]. The required data base for new business models cannot be provided by SMEs alone, whereas smart products are able to provide a foundation, given the creation of smart data and smart services they enable [5, p. 235]. These services then expand functions and functionality of smart products and define new business models [10, 6f.]. However, the development of smart products by small and medium-sized enterprises is still lined with obstacles [11, p. 640]. Regarding the product development process the inclusion of smart products means that new and SME-unknown domains diffuse during the process [12, p. 2]. Although there are many models regarding this process there appears to be a substantial lack of taking into account the competencies enabled by the implementation of digital technologies. Hence, several SME-supporting approaches fail to address the two major challenges these enterprises are faced with [13, p. 8]. 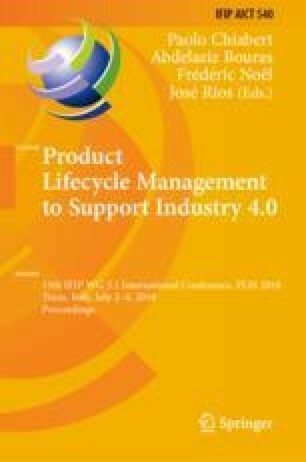 This paper generally describes valid objectives containing relevant stakeholders and their allocation to the phases of the product life cycle. Within each objective the potential benefit for customers and producers is analyzed. The model given in this paper helps SMEs in defining the initiation of a product development project more precisely and hence also eases project scoping and targeting for the smartification of an already existing product. This article arose during the work of the authors, within the context of the research project “Mittelstand 4.0-Kompetenzzentrum Dortmund” (project number: 01MF15001C) funded by the Federal Ministry for Economic Affairs and Energy in Germany. The authors want to thank all donors, supporter and critics.